In no profession is time management more important than in sales. For a salesperson, the greatest resource is the time available for customer contact. All the selling skills in the world are to no avail if there is not enough time to put those skills into practice. Today’s salespeople are spending the majority of their time on activities other than sales, according to a recent article in Forbes magazine. According to the January, 2018 article by Ken Krogue, nearly 2/3 of a rep’s time, on average, is spent in non-revenue-generating activities, leaving only 35.2% for functions related to selling. Time management for salespersons should not involve rushing the sale, but reducing the amount of time spent on the other activities, thereby leaving more time for face-to-face selling. Time tips that work for manufacturing or finance people will also work for salespeople. Everyone’s time is valuable, but the value of the salesperson’s time notably so because it translates directly into increased income for the company and for the salesperson. Failure to utilize time at work. Failure to use enough selling time. Failure to use enough product information. Failure to use enough effort. Failure to prospect for new business. Many of these weaknesses would disappear if salespeople would organize themselves and better utilize the time at their disposal. Some sales managers note that out-of-town sales trips result in more calls per day and more sales than an equivalent amount of time spent in the home town. Could it be that time is managed more carefully out of town? There’s no doubt that everyone is aware of the cost of travel, the limited amount of time available in this distant city, and the deadline imposed by the return airline ticket. There are also fewer distractions – little opportunity for friendly chit-chat over coffee, elongated lunches, trivial errands, or unnecessary phone calls. Out-of-town trips seem to have a sense of urgency attached to them, and an incentive to give it your best shot. After all, it’s not easy to make a repeat call the next day and carry on where you left off. But the increased effectiveness out of town is probably due more to the planning. Calls and routes are planned well in advance; appointments are made and confirmed; time allotted to the calls is kept to a minimum to accommodate more calls; additional prospects are listed in the event of a last-minute cancellation or an abbreviated meeting; only prime, “A” class prospects are included on the call list; the full day’s “selling time” is utilized; and preparation has been done the day or night before. In other words, time is managed the way it should be managed. There is a tendency to lose respect for time when you’re “at home.” And if you don’t respect your time, your customer or prospect certainly won’t respect your time. Next week, pretend you’re not at home. Manage your time and territory as though you have only this one opportunity to reap the sales. Then compare the results. If you feel that you need help to utilize your time more effectively whether at home or out of town, read my e-book, Time to be productive, published by Bookboon.com, review the ideas, and apply those that will help free up time. You will find that time will be your ally, not your enemy. Technology has opened new opportunities to increase personal productivity and free up more time for selling. Although it takes an initial investment of time to learn how to set up contact management software and databases and fully take advantage of high tech devices, the return is great. Do not resist technology, embrace it. Never stop searching for new ways to save time. 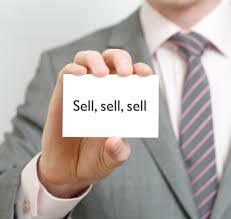 It’s not enough to be able to sell: you must have time to sell. Previous post: Plan for a purposeful retirement. Next post: Work on the critical, the crucial, and the quick.